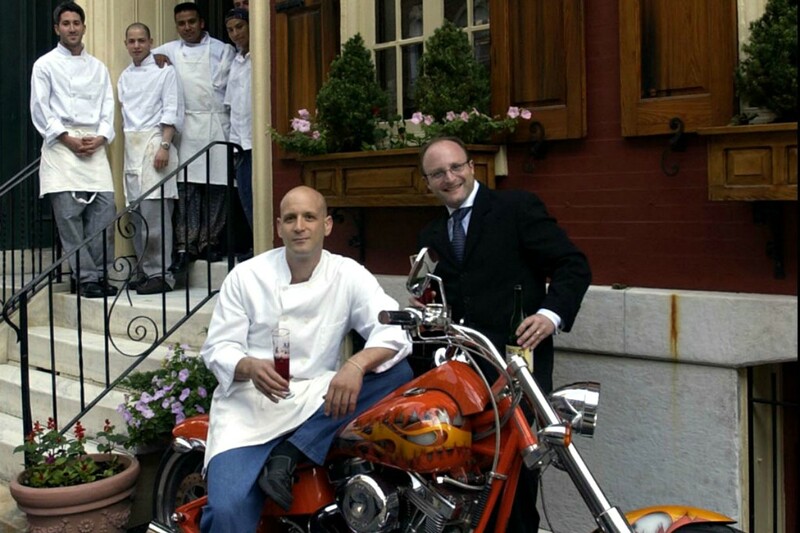 Vetri named as best Italian restaurant in U.S. I am not from Philly but while I am looking up some Philly stuff I came across a mention of your fine Italian restaurant Vetri getting recognition as the best Italian restaurant in the US by Time Out so figure I will share here. Time Out - the listicle-heavy city entertainment guide - has named two local restaurants to its roster of the 20 best Italian restaurants in the United States. Thanks for posting this. Never been, but out of curiosity I looked up the menu at Vietri, and found myself wondering (as I frequently do), what measure for an “Italian” restaurant is used in America? 75 percent of the dishes described on the menu of Vietri cannot be found anywhere in Italy. All of them are gussied up combos of ingredients that are not paired in Italian cuisine. I realize that this is a sore subject for some people when it comes to discussing Italian vs. Italian-American food (although people rarely object, as far as I can see, if there are similar discussions about Chinese food vs. Chinese-American, or even Mexican or bbq). I like Vetri. It isn’t a red gravy place by any stretch of the imagination. But it is Italian-inflected. US restaurants deemed to be French apply French techniques and sensibilities to local ingredients. I’ve never seen a crab cake on a menu in France, but it was one of Le Bec Fin’s most celebrated dishes. I’ve never lived around Philadelphia, so I don’t know what is local to there, but Vetri’s menu prominently featuring ingredients like chickpeas, truffles, boar and octopus doesn’t seem to be following the French restaurant model. I think Italian-American is an underrated creative cuisine, but it is so closely associated with southern Italian cooking that maybe to call a more pan-Italy-themed restaurant like this “new Italian-American” would send out a misleading signal. But the approach to enriching classic Italian dishes by incorporating new – and would say affluent – ingredients is so characteristic of Italian-American cooking, so basic to it, that it seems to me a restaurant like Vetri is more American than Italian in its approach to cooking. Which is not to say it can’t be delicious. There are many Italian-American dishes that I prefer to Italian dishes they are based upon. (For one, I’d rather eat a hoagie than a panino.) But I also thought that most people had been listening to Mario Batali and a lot of other people talk endlessly about the difference between regional Italian cooking and Italian-American cooking that a page had turned. Guess not.